Burt’s Bees has been a pioneer in developing earth-friendlly health and beauty care products for over thirty years. We believe that pets are family, so we’re bringing the same natural attention and care to your closest furry friends. 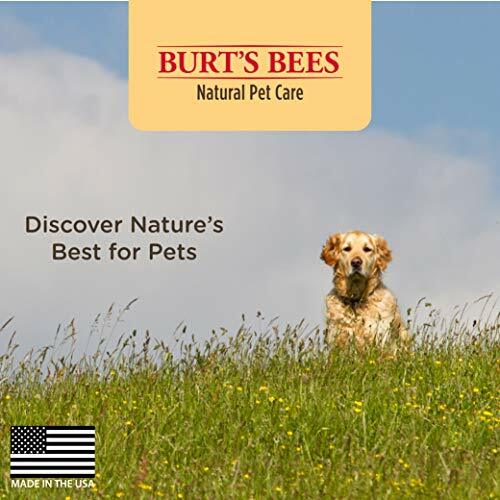 Burt’s Bees Natural Pet Care now brings nature’s solutions to our beloved pets with a specially formulated line of natural grooming products including shampoos, conditioner, sprays, wipes, and treatments. 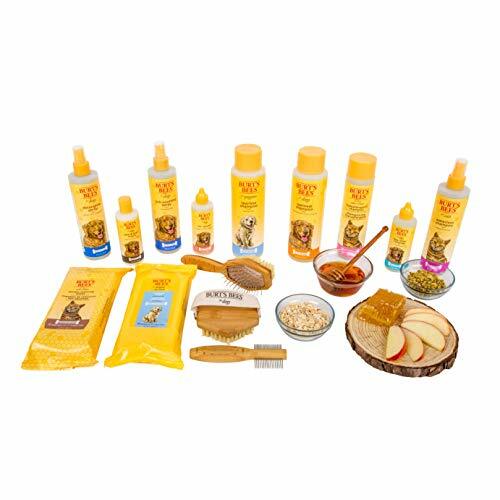 Burt’s Bees Natural Pet Care products are made using 80% post-consumer recycled bottles. 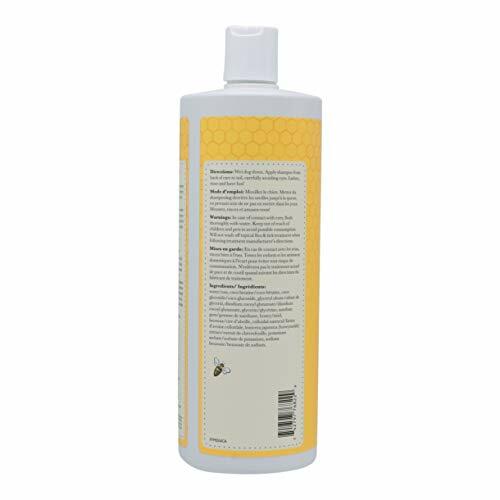 Tap into nature’s power with Burt’s Bees Itch Soothing Shampoo for Dogs. This effective dog shampoo for dogs with itchy skin calms your companion’s coat with nature’s finest ingredients. 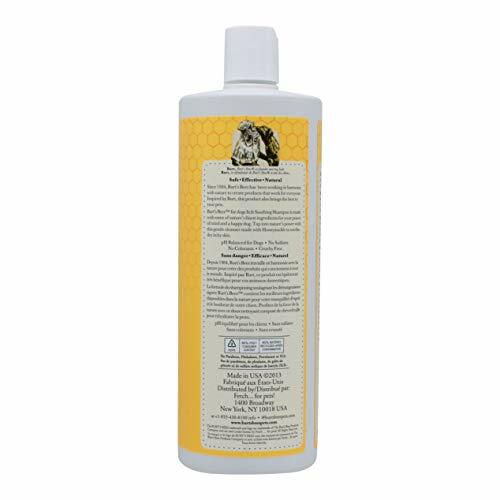 This naturally nourishing formula taps into honeysuckle’s natural ability to ease irritation, soothe dry skin, and encourage wagging. 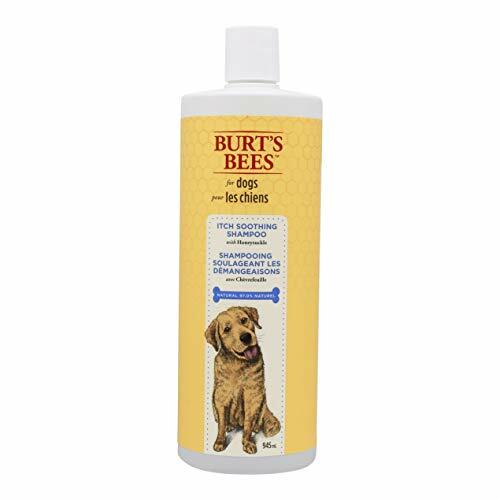 Burt’s Bees shampoos for dogs help you groom your pet with gentle, natural ingredients that keep your doggy naturally fresh. 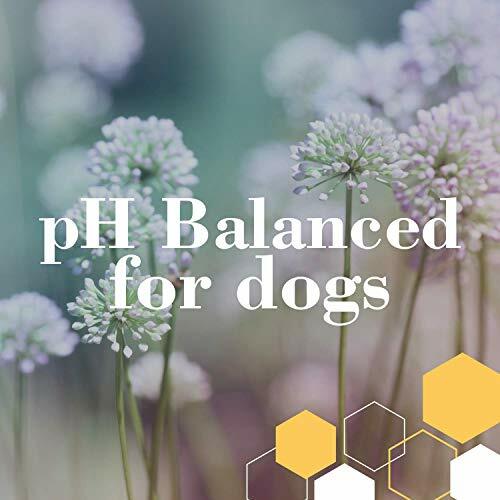 It’s made with some of nature’s finest ingredients for your peace of mind and your canine’s well-being. Free of colorants, this anti-itch shampoo is pH balanced for dogs. As is typical with natural formulas, this itch relief shampoo doesn’t have a strong scent outside of the main ingredients or a strong lather because we don’t add in artificial fragrances or chemicals to any of our products. Burt’s Bees Natural Pet Care is made in the United States without parabens, phthalates, petrolatum, SLS, or synthetic fragrances. Discover nature’s best for your pets! Directions: Apply shampoo liberally to your dog’s wet coat. Work from head to tail, while carefully avoiding eyes. Rinse thoroughly and towel dry. Store in a cool, dry place. 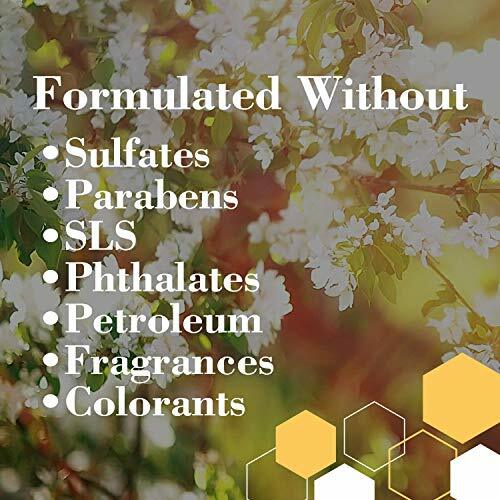 Ingredients: Water, Coco Betaine, Coco Glucoside, Glyceryl Oleate, Disodium Cocoyl Glutamate, Glycerin, Xanthan Gum, Honey, Beeswax, Colloidal Oatmeal, Lonicera Japonica (Honeysuckle) Extract, Potassium Sorbate, Sodium Benzoate. Safety Warning: In case of contact with eyes, flush thoroughly with water. Keep out of reach of children and pets to avoid possible consumption. Will not wash off topical flea & tick treatment when following treatment manufacturer’s directions.